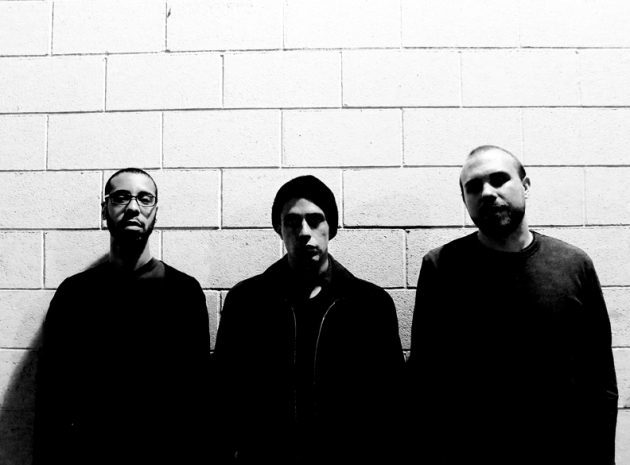 Mixed Blood Majority, from left: Joe Horton of No Bird Sing, Crescent Moon of Kill the Vultures, Lazerbeak of Doomtree. U.S. census data predicts that white citizens will be in the minority by 2043, but new data provided by the Bureau of Lazerbeak confirms that we will have a Mixed Blood Majority just a few weeks into 2013. That’s the name of the new side project of sorts from the Doomtree producer/beatmaker with two of the most chills-inducing rappers in town not affiliated with Doomtree, Crescent Moon (Alexei Casselle) of Kill the Vultures fame and Joe Horton (Eric Blair) of No Bird Sing. The trio started writing together a year ago, recorded last summer and tested their tracks on stage in the fall. Now they’re going to release their self-titled full-length debut Jan. 22 and have a release party lined up at the Triple Rock on Jan. 26. This morning, they posted one of the tracks from the album, “Free Up,” which features a third guest rapper who is part of Doomtree, Cecil Otter. You can hear it below. Lazerbeak (Aaron Mader) first planned to work individually with each of his MBM cohorts, but he said, “We just decided to merge the projects and go for more of a back-to-basics, boom-bappy rap album that was a little different than the zones they've been working in.” Longtime fans of Crescent Moon -- which Beak counts himself as -- will even hear traces of his old group Oddjobs in some of the tracks. Pre-orders of “Mixed Blood Majority” are now available via Doomtree’s site with bonus packaging. As if there weren’t enough well-known local rappers on it, the album also features guest appearances by Toki Wright and Kristoff Krane. The release show at the Triple Rock will feature Guante with Big Cats! and La Liberte for openers. Perhaps Cecil Otter will show up at that gig, too, but if not, he just announced a rare headlining set at the Fine Line two weeks later for the "The Best Love Is Free" compilation release party on Feb. 9. Like all the Doomtree rappers save one (the one that just put out a solo record), Cecil has been hard at work on his own new album.